EUNO Whitepaper - The largest Crypto Whitepaper Database! EUNO· is a currency based on the privacy of the end user. It is a currency that has Proof Of Stake (POS), Proof Of Work (POW), Masternodes, 50 Million max supply and almost instant wallet to wallet transactions. As part of adoption worldwide, EUNO· is creating a new type of protocol called ACID protocol (Adoption and Convergence Incentivized Distribution). EUNO· is also working on NFC (Near Field Communication) implementation in their mobile wallet application. This will make it possible for EUNO· to be spend at Point of Sale registers at 30 Million devices in more than 150 countries. The upsurge in the number of cryptocurrency projects since the inception of Bitcoin in 2009 has brought tremendous technological innovation and utility models into the decentralized digital currency space. Despite that, cryptocurrencies are still to date mostly viewed as speculative investment and store of value instruments. This notion has devalued the potential benefit of their use in resolving real logistic, economic and societal bottlenecks, and has necessitated a sober approach in addressing obstacles to their wide public acceptance. Indeed, mainstream adoption of cryptocurrencies continues to be hindered by polarized perceptions between different actors – public entities, the financial sector, merchants and consumers. As a result, the overall market remains extremely niche, highly volatile and susceptible to confidence shocks. At face value, this divide can be traced to (i) a wide misconception of use in illicit activities that has suspended the process of public recognition, (ii) perceived risks to traditional financial and monetary structures, (iii) overstated weaknesses in terms of scalability, speed of transactions and network vulnerabilities, (iv) price volatility, and (v) perceived complexity of use. While those concerns are to some extent valid, we view that their influence is overemphasized due to a much more rudimentary cause, which we identify as the status quo bias. As well as adhering to basic requisites of security and usability, diffusion of technologies that potentially carry broad economic and social implications compel the presence of a system that promotes active use and curbs early adopter risk. Short of such a design, potential users would more likely retain their preference for prevalent payment methods, barring the few for which the status quo already imposes greater risks. Building on that, we assess obstacles to cryptocurrency mainstream adoption within the context of a behavioral approach from which we derive key lessons for the development of EUNO coin. EUNO coin was created with the aim of tapping into the core attributes that have hindered wide public acceptance while not compromising the key features that make cryptocurrencies a revolutionary technology: decentralized, trustless, immutable and incorruptible. EUNO combines solid security features building on previously developed cryptocurrencies that have succeeded in addressing network vulnerabilities and minimizing incentives for malicious attacks. From a user’s perspective, EUNO is a privacy-by-choice coin focused on accessibility and usability through platforms and tools that aim to support commercial exchange with minimal requirements of operational knowledge and merchant infrastructure. Furthermore, EUNO is built with an aim to survive independently of its founders in the longer run. It embraces a community-driven governance structure that promotes transparency and flexibility, and facilitates adaptation to the needs of the market. In terms of exposure and user acceptance, we introduce into the cryptocurrency space the Adoption and Convergence Incentivized Distribution (ACID) protocol, the function of which is to incentivize the use of EUNO in commercial transactions, and promote a wider and more equitable coin distribution. 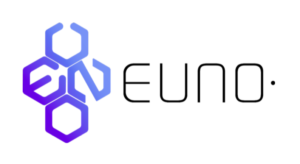 The ultimate vision of EUNO is a widely accepted and extensively distributed digital currency to be used by consumers over the air (OTA) in near field communication (NFC), point of sale (POS) transactions, with minimal requirements for technical expertise by users and integration processes by merchants.